Looking for a great Christmas gift idea for friends and neighbors? 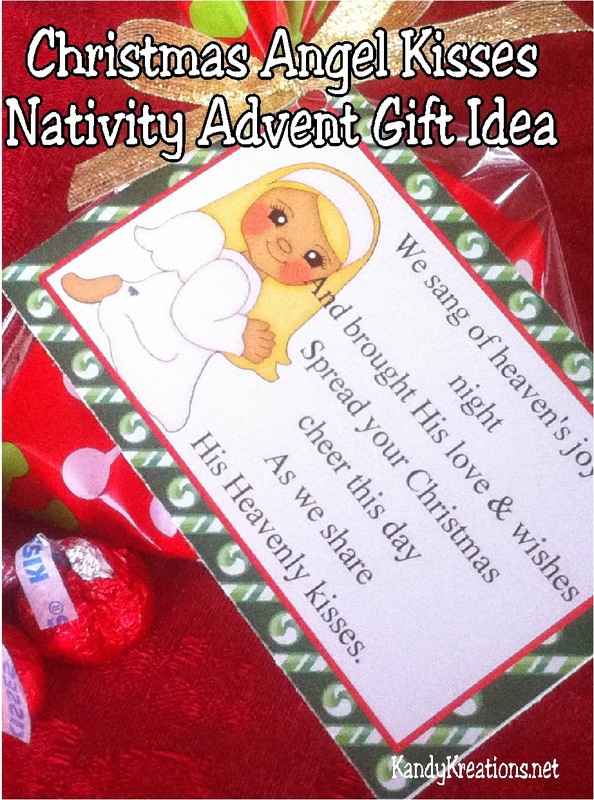 This Nativity Advent gift idea has 12 days of sweet treats, poems and gifts to bring Christ into Christmas in a fun way. Day nine has a Christmas angel bringing heavenly kisses from on high. 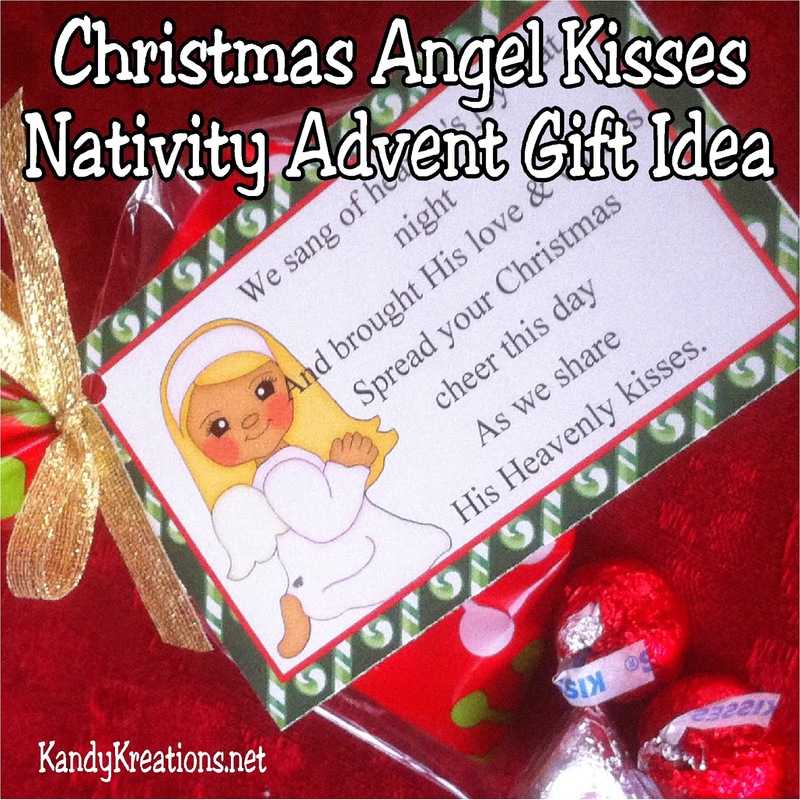 We are winding down our Nativity Advent gift idea and only have a few days left. The wise men have come and brought their gifts. The shepherds have talked of their heavenly messengers. And today brings one of the messengers herself with kisses from Heaven for you this Christmas season. I'm sure when God sent down the angels to sing of Christ's birth, like any good father, He wished he could send a few hugs and kisses our way too. So imagine the Christmas angels bring love, wishes and kisses as they sang to the shepherds on that first Christmas night. As we share His Heavenly kisses. 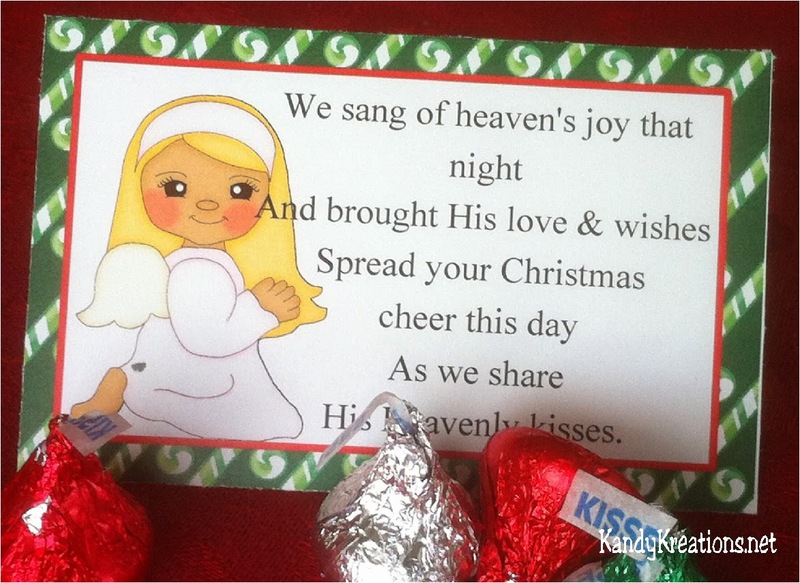 Simply add some Hershey kisses to a Christmas treat bag and tie off with this free printable Christmas angel kisses poem. You can print off the poem above or find all the tags here.